Don't forget! 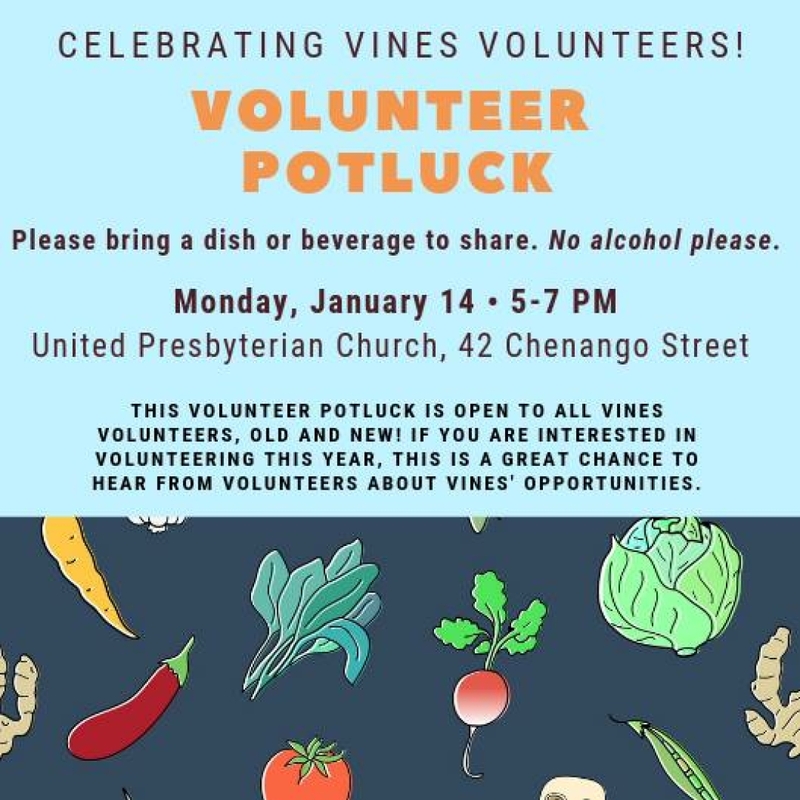 The VINES Volunteer Potluck is 1 week away! Join us at the Volunteer Potluck and find out how you can get involved this year! VINES couldn't do the work we do without our amazing volunteers! Volunteers and Friends, please join us for our Volunteer Potluck to see the faces behind the coordination and success of our many programs and projects. The event will begin at 5pm, please have your dish to share prepared by 5:30 pm. Please bring serving utensils, all other plates and cutlery will be provided. Don't Forget to RSVP for your volunteer shift at the Community Meal! 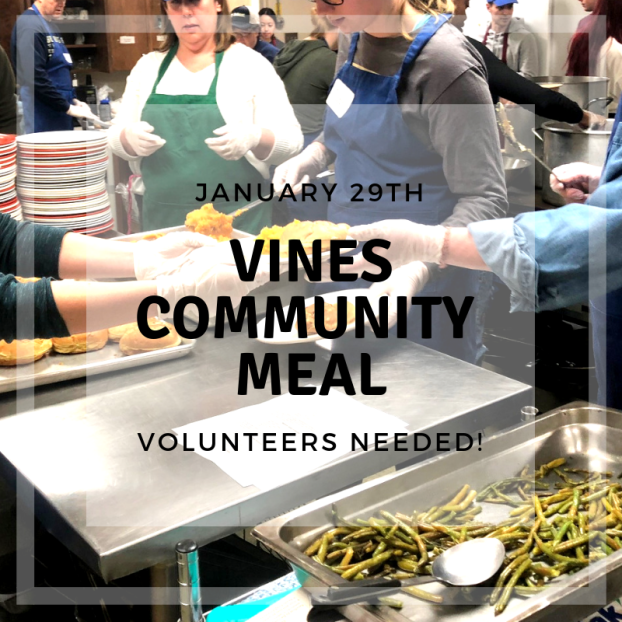 The VINES Community meal will be held on Tuesday January 29th at the United Presbyterian Church, 42 Chenango St, Binghamton. To RSVP: Include your full name, email address, phone number, and the shift you would like to volunteer for. Volunteers will prepare, cook, and assemble food for the community meal. Volunteers will serve meals in the dining room, run dishes back to the kitchen, serve beverages, and assist with cleanup.